The motive behind Russia’s initial move to militarise Syria was at best, unclear. Although President Putin at one point spoke of it as a both a humanitarian and anti-terrorism move, little has been done in way of humanitarian work drawing scepticism from western analysts. Furthermore, while ISIS may be a threat to Russia, it posed no more or less of a threat than other terrorist groups. Amongst other things, Russia’s herculean military enables it to have a voice and influence in international affairs. However, national strength doesn’t lie in brute force alone; such force must be projected globally in order to define Russia as a power to be reckoned with. This is especially apparent in the Middle East, where there is nothing more vital to its deployment capabilities, than its naval fleet. the ice and allow ships passage, ice breaking is a slow process and only limited number of capable ships can transit. To rely only on cold water ports would severely limit its global power projection and therefore it is crucial for Russia to maintain warm-water ports in the south. Russia currently has two globally accessible warm water ports; Tartus in Syria and Sevastopol in Crimea. have never been on good terms, thus it was necessary for Russia to also secure their port at Tartus; Syria in the event of a Turkish blockade. Incidentally, such a blockade would also be catastrophic for the Russian campaign in Syria, as Tartus is inaccessible by land. During the cold war, the Soviet made deals with several nations in the Middle East which enabled them to lease ports, this included a deal with Syria to lease Tartus. However at the fall of the Soviet Union, most of these alliances and deals likewise collapsed, excluding the Tartus agreement which remained leased to the Russians. This was possible in 2005 when Russia forgave 73% of Syria’s 13.5 billion dollar debt to Russia. In exchange for this reduction in debt, it appears Syria gave permission to Russia to develop and enlarges their port at Tartus. How amazing it is to see the Elohim allow that that single, yet strategically chosen port to stay within Russian hands for a future purpose. 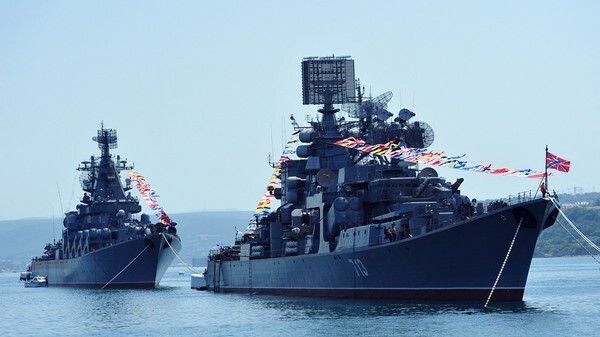 There are not many other options of ports in the Mediterranean for the Russians to use. Although Russia is allies with countries like Libya, they are too unstable. Other options such as Egypt would be viewed as politically dangerous as it would cause conflict with the UK or US. Syria is geographically very close to Russia, and with no other option, it made sense for Russia to develop Tartus. It wasn’t until Russia secured Sevastopol, that it set eyes on Tartus. Around the same time that Russia invaded Crimea, the Syrian civil war began threaten Russia’s lease of Tartus. On the 30th of September 2015, Russia responded to the threat by fortifying Tartus and setting up infrastructure to neutralise the Rebel factions which were closest to the base. By intervening in Syria, Russia first secured Tartus enabling it to become the base of its power projection in the Mediterranean and consequently the world. Secondly and perhaps inadvertently, it gave Russia an opportunity to begin the awakening of its image-empire. Already, both the Papacy, and Europe are looking to Russia for help. Even though Russia is suffering from US-imposed sanctions due to the annexation of Crimea, it appears that by involving itself in the Syrian civil war – under the guise of humanitarian and anti-terrorism endeavours – that it has been given an opportunity to stop the migrant flow into Europe and become the indispensable European partner. As both the migrant crisis and terrorism grows, Russia will gain increasing leverage over the West and position themselves to have sanctions removed. Germany is already in favour of the removal of sanctions against Russia. Daniel 11:40 talks of a latter day manifestation of the King of the North. Prior to verse 40, the ancient King of the North occupied and controlled the area of the Seleucid empire which included todays Iraq and Syria. To be a letter day manifestation of the same empire, the latter day King of the North must occupy the same region. We are beginning to see the fulfilment of this! Russia is not only in Syria now, but also beginning to enter Iraq to conquer ISIS. As Russia has become unwittingly involved in the Syrian Civil war while endeavouring to fortify Tartus, it has stumbled across an unfortunate foe – ISIS. ISIS have dragged Russia into conflict, and not only Russia, but most of the world’s largest superpowers. Ezekiel prophesied that one day, Russia would be dragged down to build a confederacy, and to do this, God would put “hooks in their jaws” (Ezekiel 38). It’s possible this is being fulfilled through ISIS. The nations are now gathering just North of Israel and coalitions are being forged. Through Russia’s endeavour to become a world power by expanding their naval access, the angels are pushing Russia to become the KON, which means this is the last days! We are on the brink of Christ’s return. Note: This post was generously written and contributed by a young Sister who prefers to remain anonymous.